Test Consoles for Satellite Subsystems. Test-Jigs for testing On board Computers. 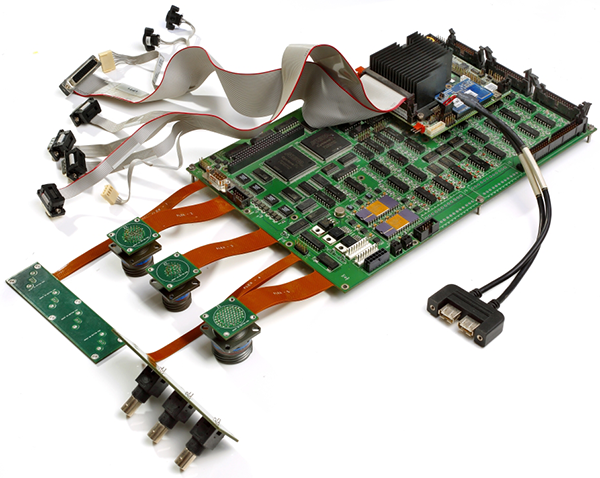 ACL’s RG-DAS is a Generic Data Acquisition System, which can be configured to specific application requirements. Processor : Intel Pentium M 1.4GHz, 2MB L2 cache, 400MHz FSB. Digital Inputs : 88 Nos. Digital Outputs : 64 Nos. Analog Inputs : 80 Nos. 16 bit, 200ksps, ±10V/20mA. Analog Outputs : 68 Nos. ± 10V (FS)16 bit -48 Nos, ± 10V (FS)12 bit - 8 Nos, 0V to +2.5V, 16 Bit -8 Nos. Multiple RT, BC & MT Simulation : 1 No. 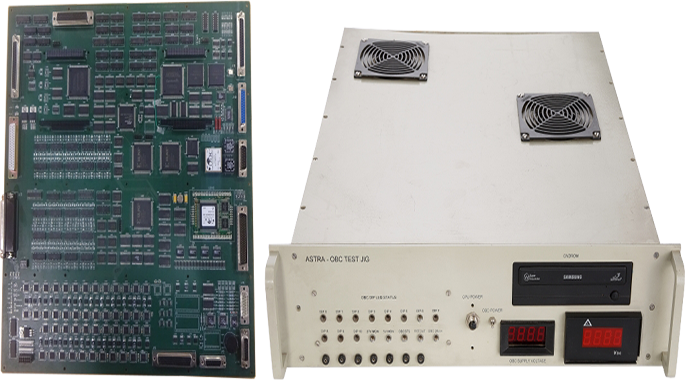 Supporting MIL-STD-1553B Simulator / tester providing Simultaneous 31RTs, BC & MT on One 1553B Bus. Single Function (BC/RT/MT) MIL-STD-1553B Simulation: 1 No. ARINC-429 : 4 Transmitters, 8 Receivers. RDCs : 2 Nos. of 16 Bit. Absolute Encoder Interface : 2 Nos. of Type EnDat2.2. CAN Controller : CAN Master High Speed, 1 Mbit/sec, CAN 2.0. Quadrature Encoder Interface (Hand Wheel): 2 Nos. of Type Incremental, Bidirectional. COM Ports : 4x USB 2.0 ports. Ethernet Ports : Gigabit Ethernet (1000Mbps). RS-232 & RS-422 Channels : 3 Nos. of RS-232/RS-422 Ports configurable, 5 Nos. of RS-422 Ports. OS & Library Functions : Linux and RT-Linux: Library functions to support each of the resources will be provided. Features : SHA, Anti-aliasing/noise filter, over voltage protection, Auto zeroing, Testability. Overall Accuracy : Better than 0.1%of FS over entire operating temperature. Strap option to change this swing to ±0V DC FS. No. of CAN nodes : 127 Nos. Max. Pulses per Revolution : 128 Nos. Multiple RT, BC & MT Simulation : 8 No. 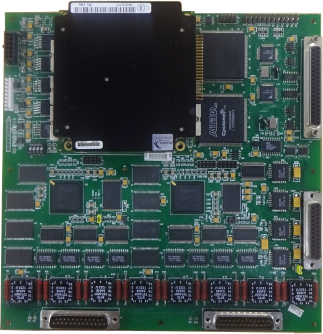 Supporting MIL-STD-1553B Simulator / tester providing Simultaneous 31RTs, BC & MT on One 1553B Bus. ARINC-429 : 8 Transmitters, 8 Receivers. RS-232 & RS-422 Channels : 3 Nos. of RS-232/RS-422 Ports configurable, 8 Nos. of RS-422 Ports.